Are you interested in joining the online auction craze? It’s no secret that consumers love a great deal, and auction sites offer a perfect opportunity to dive into the fast-paced realm of this profitable business model. While there are many auction website options, can you leverage the power of WooCommerce to create a stable and successful auction business? Is there a Market for Online Auction Businesses? When you think about auction websites, your mind likely thinks of eBay. While this e-commerce superstar dominates the market, this doesn’t mean there’s no room for competition. Online auction businesses offer a unique sales channel for entrepreneurs. However, its potential for dynamic success requires an equally unique business model. Along with earning greater income per product sold, starting your own auction business offers a rare branding opportunity. Much like any other digital storefront, success is based on platform stability, functionality and security. While many assume WooCommerce only supports traditional selling methodologies, its open-sourced infrastructure is the perfect platform for auction businesses. 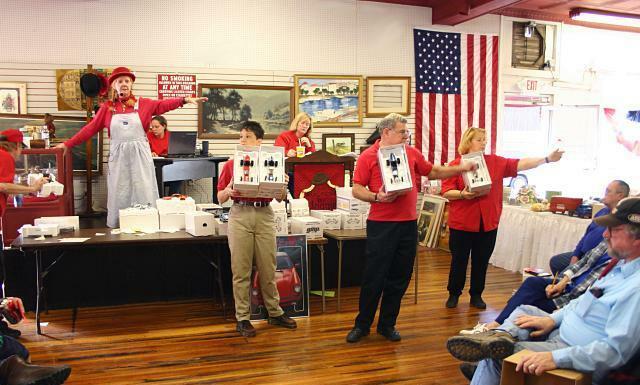 The heart and soul of any auction business are bidding. Unlike standard instant-purchase shopping cart functionality, final product price is determined via back-and-forth price increases among users. Therefore, the fundamental layer of any WooCommerce auction business is leveraging the power of a price-bidding plugin. There are multiple WooCommerce auction plugins available from the WordPress plugin repository. When reviewing options, confirm the plugin offers admin and seller bidding configuration, automatic bidding options, current bid visibility options and automatic bid update emails. Essentially, automation capabilities are paramount to ensure bidding is a streamlined and secure process for administrators and customers. As with a traditional auction, product bidding is limited to a specific timeframe. To successfully operate a WooCommerce auction business, you must offer a customizable bidding duration. Much like creating the actual bidding ability, item-specific duration can be easily managed via plugins. Auction scheduling plugins automatically open and close product bidding. When scheduling an auction, leverage the efficiency of plugins to customize bidding duration. Most plugins offer bidding time limits based upon days, hours and minutes. If you plan on allowing users to sell their products, choose a plugin with user-defined auction limits. If not, select a plugin that supports backend-only auction creation. While it’s possible to establish a WooCommerce auction within your pre-existing WordPress theme, consider enhancing overall functionality via an auction-specific theme. Designed specifically for this unique ecommerce format, WordPress auction themes offer specific frontend and backend configurations to support small and large-scale auction businesses. Before use, confirm the theme is built for WooCommerce auction plugin compatibility. Unlike traditional digital storefronts, WooCommerce auction businesses often lead to swifter inventory changes. This is especially true for large auction stores with active users. If your business model primarily auctions in-house products, inventory management is essential to prevent overselling products. Integrate an advanced inventory plugin into your WooCommerce auction business. Run inventory updates twice daily for current back stock levels. Choose a plugin with automatic on-page inventory display updates, which adjusts displayed inventory count. Managing auction activity is challenging without proper protocol and standard operating procedures. Configure auction plugins to automatically send administrators email updates for new bids. If possible, consistently review auction bids to isolate potential issues and errors. Depending on plugin features, confirm each bid amount adheres to the established bid increment. Spotting errors as quickly as possible is vital to maintain a secure and trustworthy auction business. Due to the nature of an auction business, user communication standards play a more significant role when compared to a standard WooCommerce store. Active bidding communication should automatically submit bid amount updates to all bidders with a direct link to increase amount. At the conclusion of each auction, the winner and losers should receive an automated email repose with applicable details. Streamline user-to-store communication with a built-in chat interface. Instant messaging support provides customers with peace of mind when using your auction site for the first time. Failure to offer instant customer support may result in lower winning bids as a customer may not complete a bid if their questions go unanswered. Be available during standard “operating hours,” which means staff is available to instantly respond to queries. Creating a WooCommerce auction business is not only possible, but also an exciting way to generate income. While learning how to maximize visibility and profitability requires time to master, WooCommerce is a solid and viable platform for both small and large auction businesses.